Sarah joined our Warrenton office in May of 2016 as an accountant and serves individual and business clients in tax planning and tax return preparation. 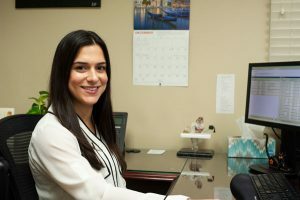 She comes to us with three years of accounting experience and a Bachelor of Science Degree in Accounting from Virginia Commonwealth University. Sarah is originally from New York but has lived in Northern Virginia for some time and loves the area.